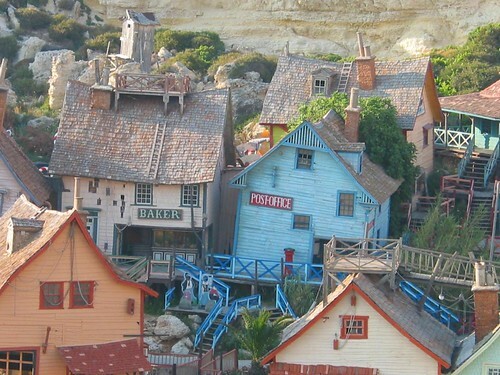 Popeye Village, also known as Sweethaven Village, is the ideal place for a family with children to go when visiting Malta. No wonder it is one of Malta’s major tourist attractions! This Maltese fun park is all about Popeye the Sailor and the universe around this character. Popeye Village is the actual set used by Paramount Pictures and Walt Disney Productions to shoot the film based on the comic strips by E.C. Segar. It will really keep children and adults busy for an afternoon or a whole day in Malta. 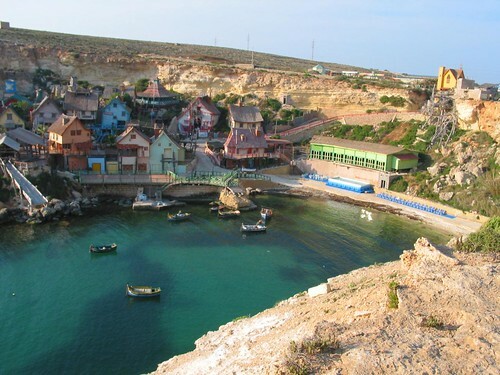 Besides these attractions, Popeye Village offers other activities according to the respective season like Water Trampolines, a Play pool and Boat rides in Anchor Bay during the marvelous Maltese Summer or a Christmas Parade and Santa’s Toy Town & Crib in Christmas time. Popeye appeared on a comic strip for the first time in 1929! During the 1960s, the TV cartoons were a success and are still being aired throughout the world. Popeye Village Fun Park is where they shot the film Popeye, starring Robin Williams, in 1980. The construction of the set started in June 1979 and it took 165 workers seven months to build the village, which consists of 19 real wooden building. The wooden materials were imported from Holland and Canada, since Malta doesn’t have any forests. To put all the wood together and make it stand out, 8 tons of nails and 2000 gallons of paint were used in the construction. To protect the set from high seas, a big breakwater was also built in Anchor Bay. Winter pick up schedule from hotels in Sliema (11.15), Bugibba area (11.30) and Mellieha (11.45). Be at pick up point 10 minutes before. 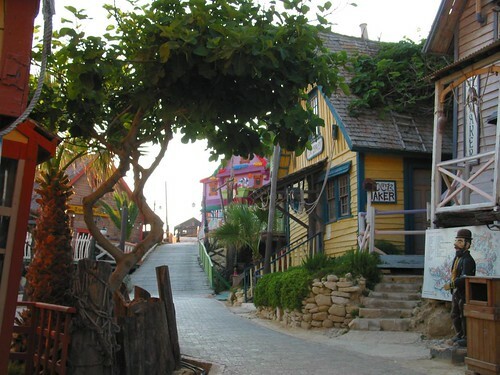 Buses leave Popeye Village at 4.30pm. Drive to Mellieha and just follow the signs to Anchor Bay and Popeye Village.